If you could imagine the perfect vehicle, what would it look like? Would it be able to go from the tangle of city streets to the roads less traveled without skipping a beat? Would it feature innovative storage solutions and stop-and-stare styling? And would it give you a thrill every time you started the engine? If so, it would probably look a lot like a Qashqai. Crossover to excellence, and get behind the wheel of a Nissan Qashqai crossover vehicle today. 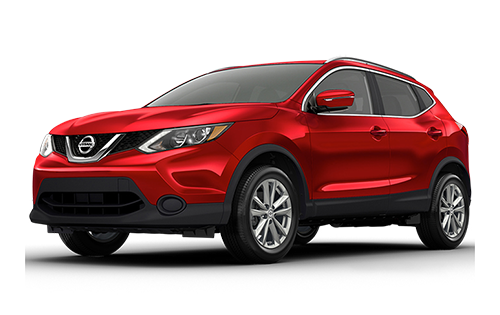 If you’re looking for a Nissan Qashqai near Calgary, there’s no better place to find it than Cochrane Nissan. At Cochrane Nissan, we’re proud to carry a stunning selection of Qashqai models, each equipped for exploration. Our friendly sales team will go through your list of must-haves, and match you with the Qashqai model that’s got it all — and much more! Your incredible dealership experience doesn’t end on the sales floor, either. After all, we’re known for providing service so good you’ll tell your friends! Whether you’re customizing your perfect Nissan Qashqai near Calgary, exploring financing options, or getting an oil change in our Quick Service bays, you’ll receive the kind of personalized service you’ll be excited to talk about! Visit us at 7 River Heights Drive in Cochrane, AB, or give us a call at 403-851-8585. With our 4-acre lot, you’ll always have plenty of options for your next Nissan Qashqai! In the Nissan Qashqai, there’s always room for more friends, more cargo, and more fun! Generously-sized seating gives everyone plenty of space to stretch out, even when you’re travelling with a full crew. When it comes to crossovers, versatility is the name of the game, and the Qashqai delivers by providing a host of smart storage solutions. The Divide-N-Hide cargo storage system gives you a safe place to stash valuables, while the flexible cargo area lets you accommodate almost anything. Go ahead, bring it all with you in the Qashqai! Don’t let challenging road conditions keep you from getting where you need to go! Thanks to available Intelligent All-Wheel Drive (AWD), your adventures in the Qashqai will only be limited by the number of hours in the day. This innovative system sends power to all four wheels from the get-go for improved traction. At cruising speeds, power is diverted to the front wheels for better efficiency, and if the system detects a change, it distributes the right amount of power to both the front and rear.